This is a wonderful solution to make use of all those green tomatoes. 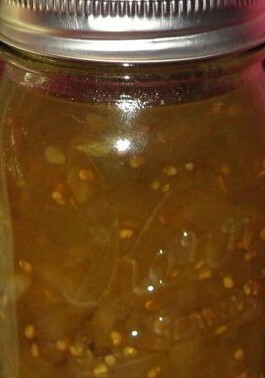 These are the Pickled Green Tomatoes featured in the Pink and Green Themed Gift Bags. I found this recipe in a book titled “The Farmer’s Wife Canning & Preserving Cookbook” edited by Lela Nargi. It was published by Voyageur Press, Minneapolis, MN in 2009. The book is a reprinted collection of more than 250 canning recipes that had been published in a magazine named “The Farmer’s Wife.” This monthly magazine circulated throughout the state of Minnesota in the late 1800s and early 1900s. I really enjoyed this book. The references to historical protocols around the home and the unique time proven recipes are a delight! I was glad to see the preservation of this magazine in this fashion. A whole new generation can now access this information. This has become of my favorite canning books. It is now a permanent fixture on my cookbook shelf. Here is just one sampling from the book that has become a regular in our home. For me, this recipe works out to about 9 pints. These Pickled Green Tomatoes can be substituted easily any place you use sweet pickle relish. Some of the most common uses are hot dogs, tuna salad, chicken salad, ham salad and as a condiment in general for various meats. Have fun experimenting. I love rolled beeswax candles. Nothing could be easier. You lay your sheet on a flat surface, line your wick along one side and roll it up. Simple! Beeswax sheets can be purchased at some hobby/craft stores. If you cannot find them there, they are available online. However, if you must order the sheets, you should not order them in the cold months. Depending on where you live, is what dictates the cut-off delivery date. Beeswax sheets will become brittle as they are subjected to cooler temperatures. Even while working with the sheets, you will need to keep them warm. Room temperature is usually good. If you are working with your sheets and notice they are becoming stiff, brittle or harder to work with, pull out a hair dryer and warm them slightly. All wicks are not created equal. If your wick is too small, your candle will burn unevenly or put itself out. If it is too big, your candle will burn too quickly. There are many different types of wick on the market these days. You want to be sure you are getting the right kind of wick for the specific type of wax you are using. 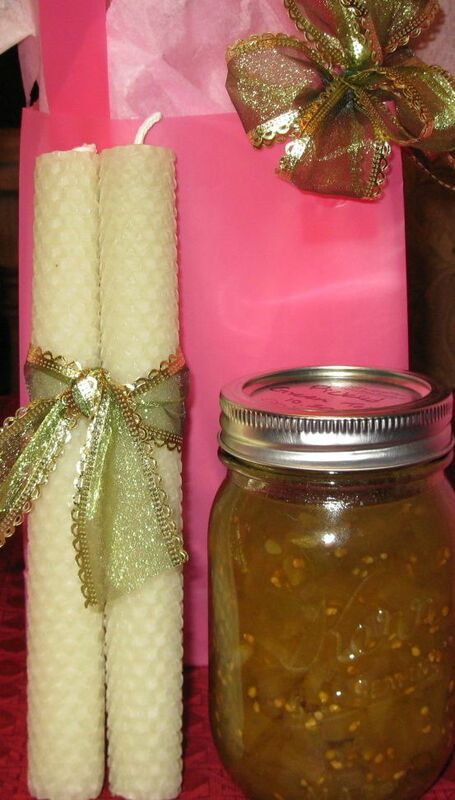 For the average beeswax sheet candles I make, I use a square braid cotton wick #2. I made these gifts bags obviously considering not only the contents but the color scheme too. Everything is shades of pink and green. The rolled beeswax candles are a very light lime green and I included a pint jar of my home canned Pickled Green Tomatoes. The candles were presented tied together with green and gold wired ribbon. I used the same ribbon on the handle of the gift bag. For the benefit of the gift bag receiver, include a little note giving suggestions of how to use the home canned product. There are any number of reasons why someone would want or need to substitute any ingredient. Here are a few replacements for “milk.” These can be used in cooking and some are worth trying as a drink. To make a drink “milk”, mix with your choice of sweeteners or flavorings. An example of flavors would be vanilla or almond extracts, these are my favorites but there is a great selection at the store. I have also added things like Strawberry syrup, a dab of gelatin or even a smidgen of powdered drink mix (i.e. Kool-aid) they can really liven up that “milk.” As sweeteners go, it could be honey, sugar, turbinado or what your preference is. Be adventurous! Just be cautious when adding the flavorings or sweeteners, too much will ruin the drink; if there is not enough, you can always add more. the amount of water you add to the mixture. Whirl together in a blender until smooth. Water left over from boiling potatoes, or water with a small amount of potato flakes added can be used in cooking also. This is especially good to add as a base for cream soups. I always keep my potato water to add to other dishes or bread. There are a lot of vitamins in that water. There are a variety of milk powders on the market. Instant powdered milk and non-instant powdered milk and soy milk powder are reasonable alternatives. I think there is a tofu based powdered milk too. Just follow the directions on the packaging. Add 1 tbsp. 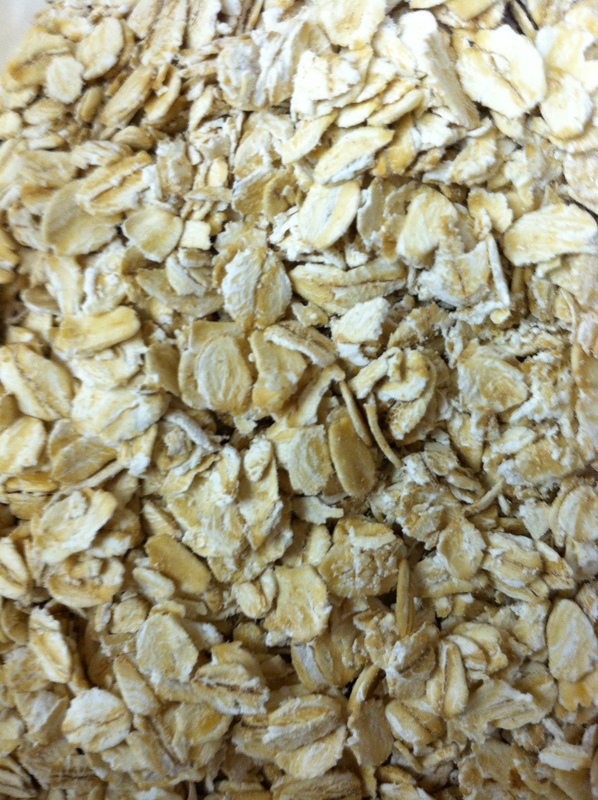 of lemon juice to any of the above milks and allow the mixture to sit a couple of minutes. Use this in recipes as a substitute for buttermilk. The acid in the lemon juice “curdles” the milk. I used to use vinegar in the same way but I found I prefer the taste of the lemon juice.